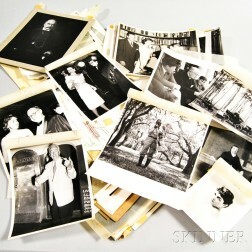 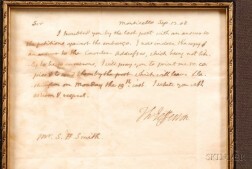 Save your search - find out immediately when "Randolph family of Virginia" is available at auction! 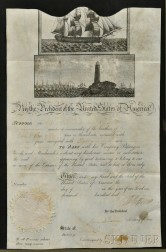 Jefferson, Thomas (1743-1826) Ship's Passport, Signed, February 1805, Countersigned by James Madison (1751-1836). 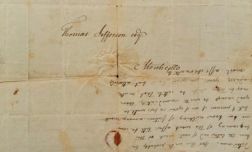 Jefferson, Thomas (1743-1826) Signature Clipped from a Document, 4 December 1801. 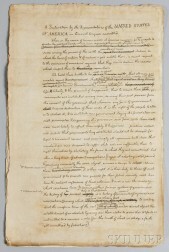 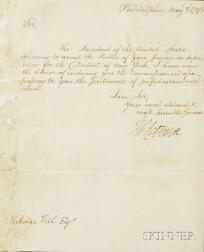 Jefferson, Thomas (1743-1826) Letter Signed as Secretary of State under Washington, 22 February 1791.